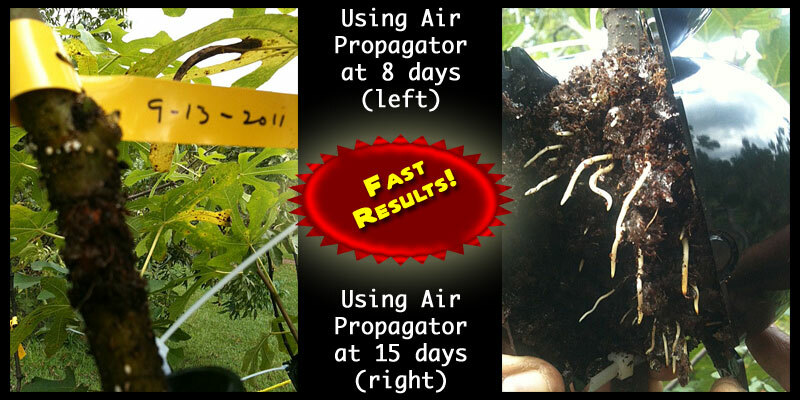 Here is a video and step by step pictorial on how to use the revolutionary new Air-Propagator. For more details, click on the link at the bottom of the page, below the korean demonstration video, to download the pdf instruction sheet. Using a sharp knife or cable cutter, make two parallel cuts about 1” apart around the stem. Caution: Don’t cut through the stem. 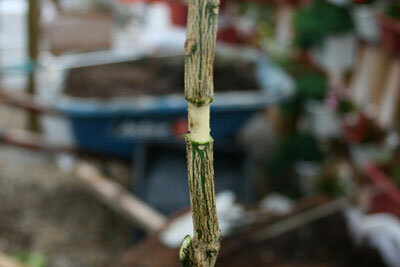 Just cut deeply enough so the bark and cambium (inner layer bark) peel off. 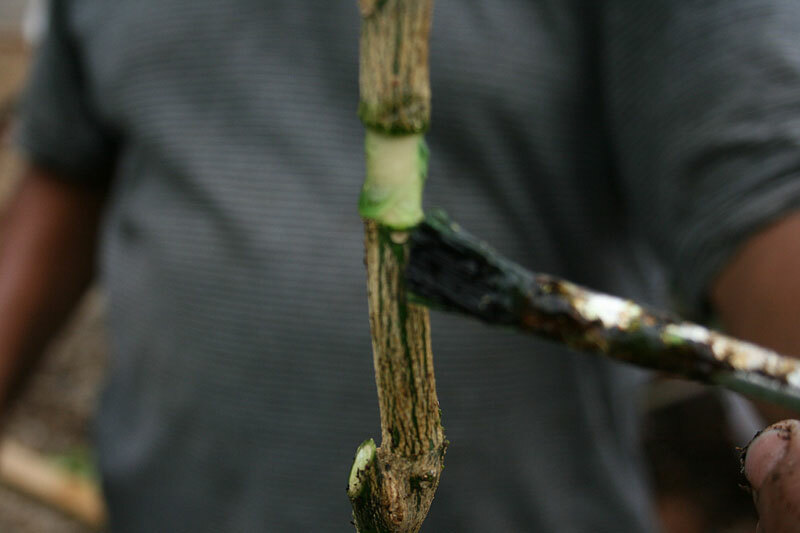 Remove the bark and cambium (inner layer bark) around the stem between two cuts made. 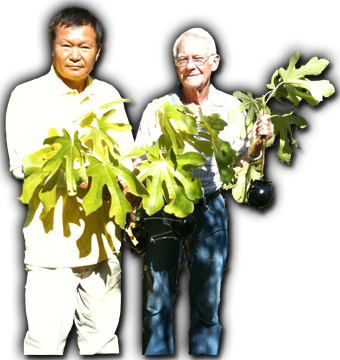 Apply rooting hormone around the exposed stem with a brush. 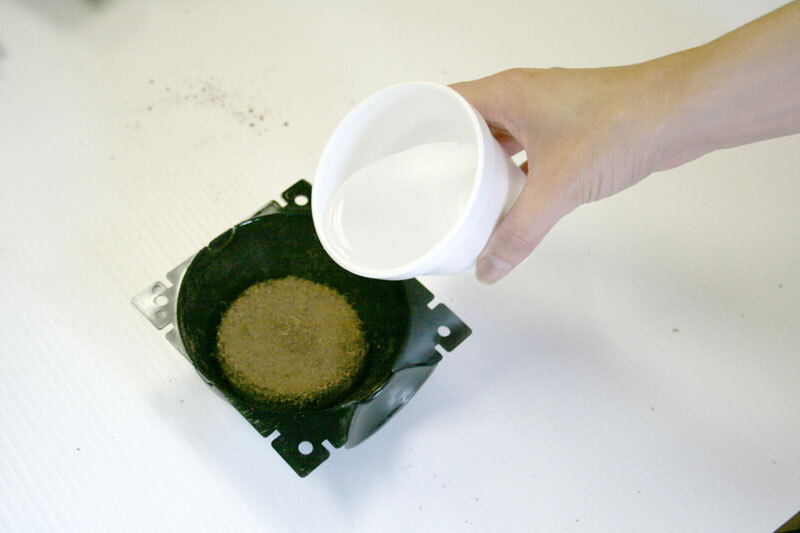 Place a soil disk in each air propagator shell. 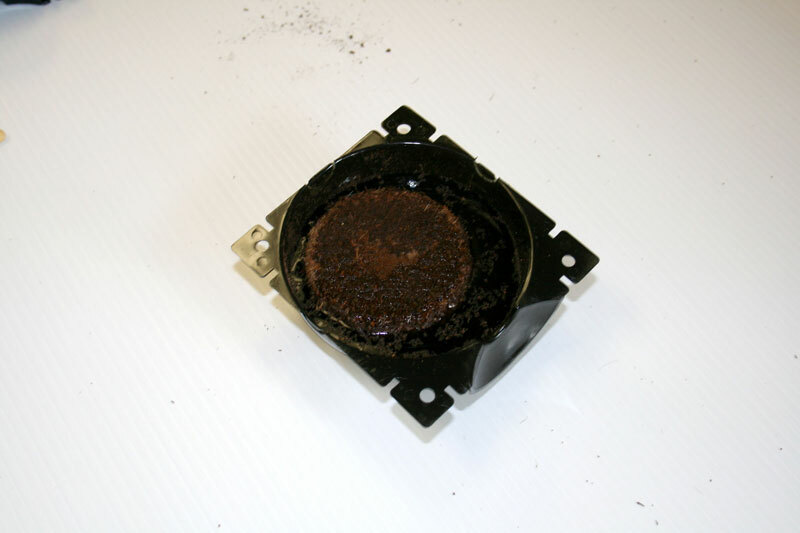 Fill each air-propagator shell with water and wait 5 minutes or until all water is absorbed by the soil. Attach a plastic tie around the stem about 2” below the exposed stem. This prevents air-propagator shells slipping down. 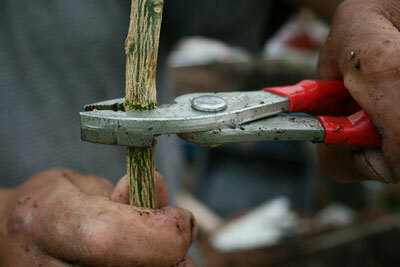 Next, carefully put two air-propagators together around the exposed stem on the plastic tie. 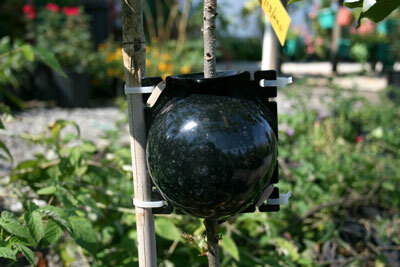 Using plastic ties or metal binder clip, securely attach air-propagator shells together. Shells are attached using 4 plastic ties. One side of the shells is attached using plastic ties and the other side using metal binder clips. 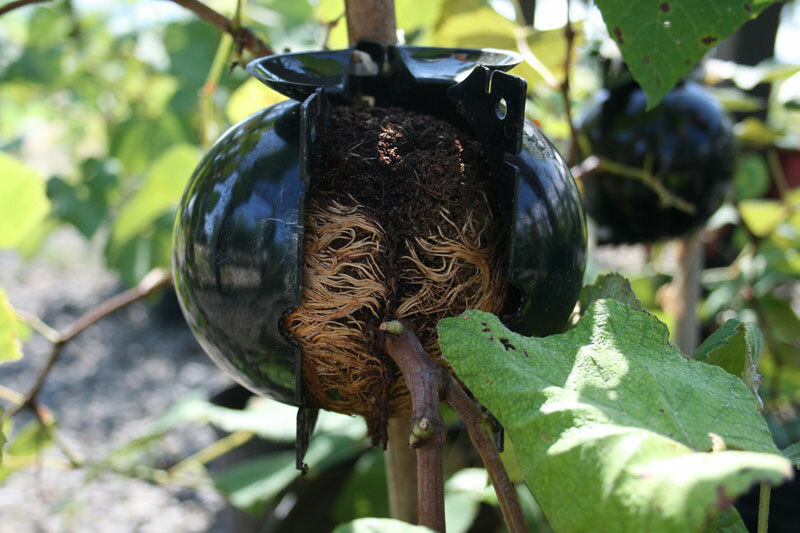 This way makes it easy to open the shell to check the roots. If needed, place a support stick close to the branch with air-propagator shells and secure the branch with the support stick. This prevents the damage from excessive movement by wind or weight of air-propagators & soil. 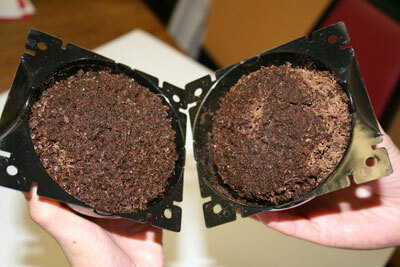 After 6 to 8 weeks, remove metal binder clips only and open air-propagator shells and check the development of roots. 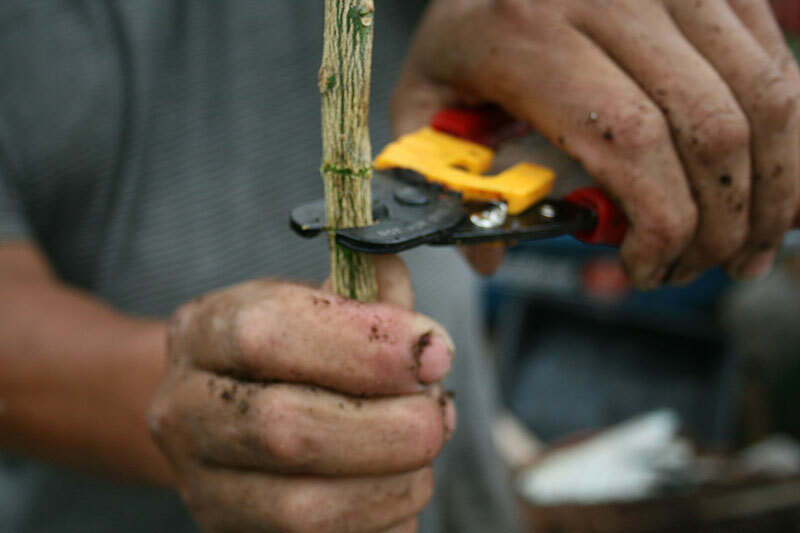 If you attached shells using 4 plastic ties, cut plastic ties on one side only and open the shells. 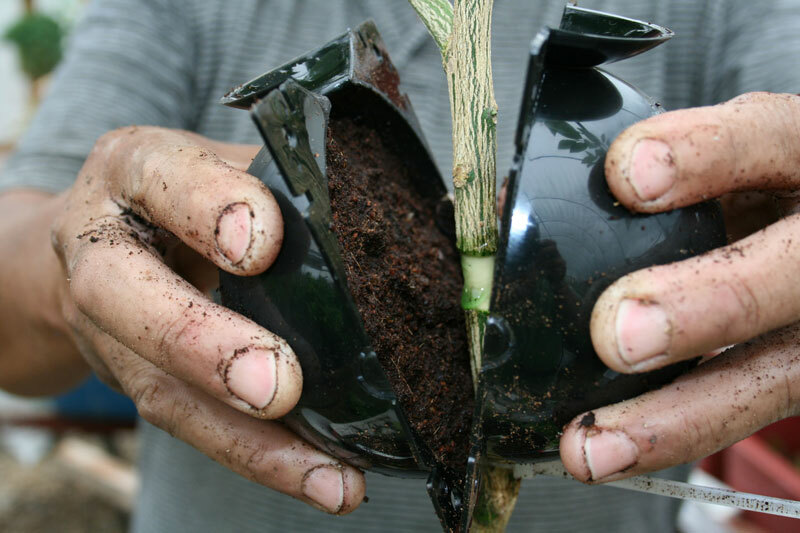 Caution: If roots are not formed enough for transplant, close the shells and attach metal paper binders/plastic ties again. 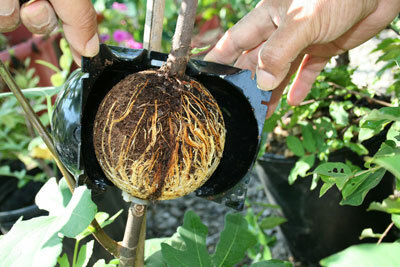 When roots are developed enough for transplant, cut the branch below roots and transplant it to the pot or ground. Roots are formed enough for transplant in 60 to 90 days, depending on plant varieties, weather, starting time of propagation, and other environmental issues.